4 ingredient chocolate energy ball superfood | Nancy Guberti, M.S., C.N. Need a pick-me-up? Want something sweet and powerful, a superfood? 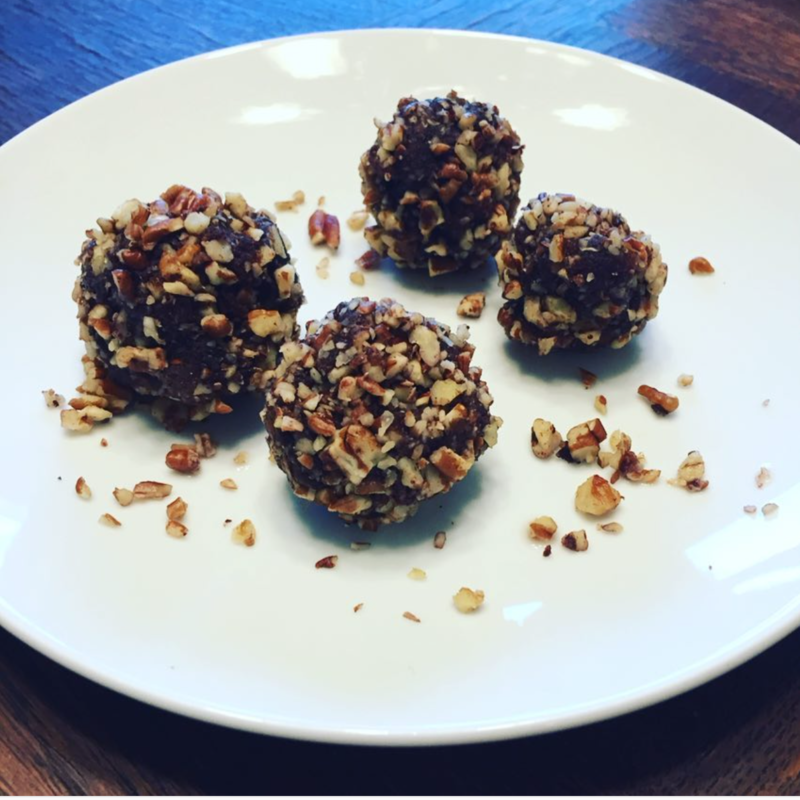 Here it is…the 4 ingredient chocolate pecan or cashew or almond energy ball! Add cashews to food processor and pulse quickly. Add dates to the food processor and blend until they become smooth and stick together in a large mass. Add cocoa powder to the date paste/nut mix and pulse. Add coconut milk and continue mixing. Roll the cocoa-date-nut mixture into small balls about 1-inch in diameter. Enjoy immediately or store in the refrigerator for up to 5 days. How do you feel today? Want to become your Best health advocate and take charge of your life? Need more food ideas? Visit my Instagram page.